Milking efficiency is the percent of unit on-time (cluster attached) that milk is flowing near maximum. 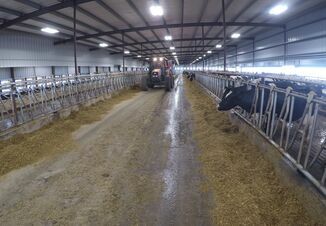 If a milking unit is attached for 5 minutes during milking, and strong milk flow occurs for 4 minutes and 45 seconds, her milking efficiency is 95% (285/300 seconds). When milk isn’t flowing while the unit is attached, it is not only inefficient, but more importantly, it can lead to high vacuum on the teat, which damages teat tissue and thus increases the risk of mastitis and decreases milk yield. 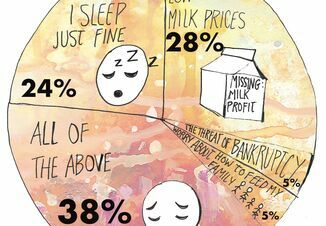 There are two major problems that lead to poor milking efficiency: milking routines that resulted in delayed milk letdown (bimodal milk letdown) and overmilking. Either one of these problems can leave cows ‘high and dry’ for a period of time and expose teats to high vacuum levels. Producers should set herd goals for milking efficiency to help increase awareness of this concept for dairy producers and managers. It is nearly impossible for a cow to be in full milk flow 100% of the time the cluster is attached. Often there is a slight delay in milk flow after unit attachment. 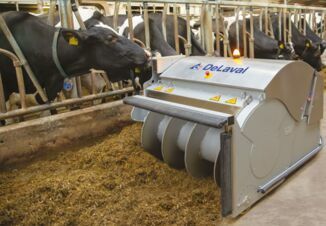 Plus, depending on the settings for terminal flow and delay of the automatic take-offs, units will remain attached for brief periods of low milk flow at the end of milking. Also, milk let down will vary between cows despite consistent milking protocols. Thus, fresh cows, nervous heifers, or cows in estrus might deviate from the average. Nonetheless, if sound milking preparation is combined with timely cluster removal, most cows will be exposed to only brief periods of high mouthpiece chamber vacuum (the vacuum that surrounds the teat) during milking. The graph displays the milking efficiency for 57 herds milking in a variety of milking systems (no robotic milking systems were evaluated). Average milking efficiency across all herds was about 78%, that is, cows in a typical herd are in high milk flow for only 78% of the time the cluster is attached. The bottom 25% of herds had a milking efficiency of 72% or less, the top 25% of herds 86% or better. The top 10% had a milking efficiency of nearly 90% or better. Thus, these top herds serve as indicators of what to expect when timely and consistent milk letdown and cluster removal at the end of milking are practiced. Milking efficiency is more than a score. More importantly, it can help draw attention to possible opportunities to improve teat health, mastitis control and milk production. The exposure of cows to bimodal milk let down and overmilking varies between herds. If milking efficiency is low (<80%), this suggests milking practices, both before and at the end of milking, as well as equipment function, should be reviewed and evaluated. You don’t need milking analysis equipment to get an idea of possible problems in milking dynamics. Simply watch milk flow into the cluster after attachment, or look at teats for rings or discoloration after the units come off. This is not unlike checking for the completeness of covering teats with a germicide after milking. 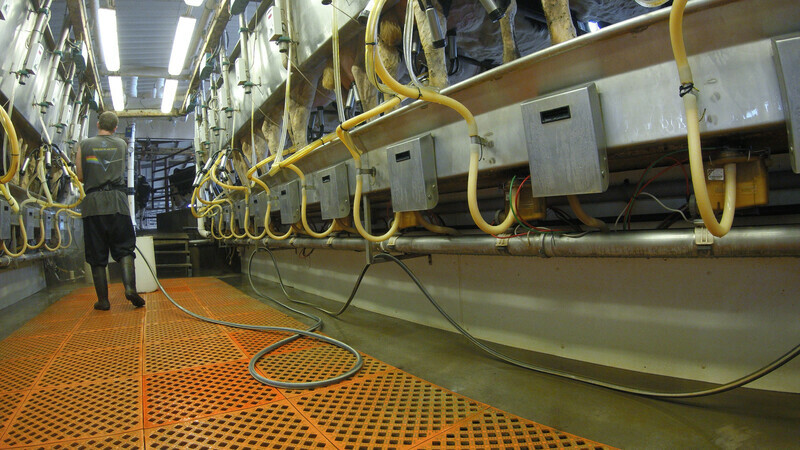 Top herds achieve the ideal goal of machine milking—the cluster is attached only while milk is flowing, which optimizes teat and udder health as well as milk harvest. What are your milking goals?